June 2018 Member of the Month, Kevin Bond! 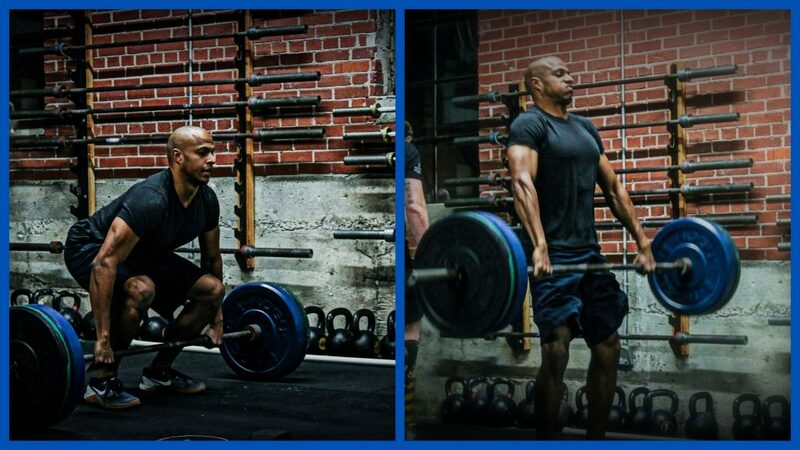 CrossFit Midtown is very excited to announce our May Member of the Month, Kevin Bond! 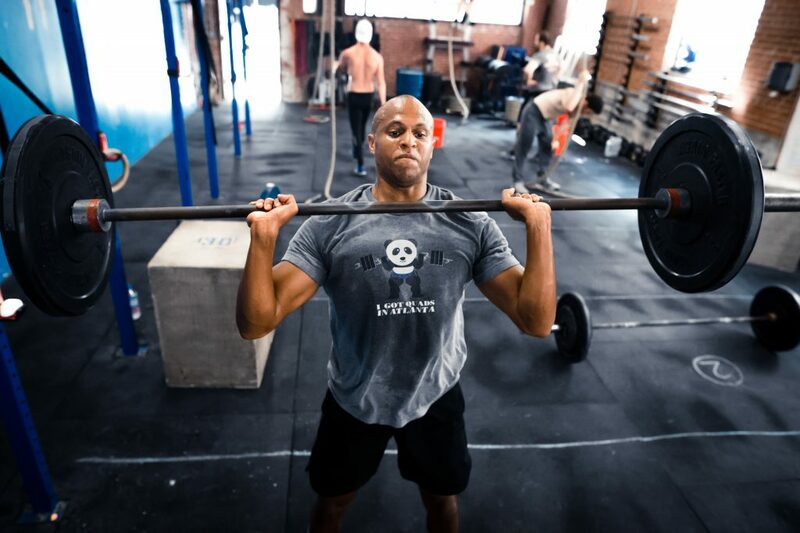 Kevin has been a member for a little over a year and has been lifting all the weights and crushing the WODs! 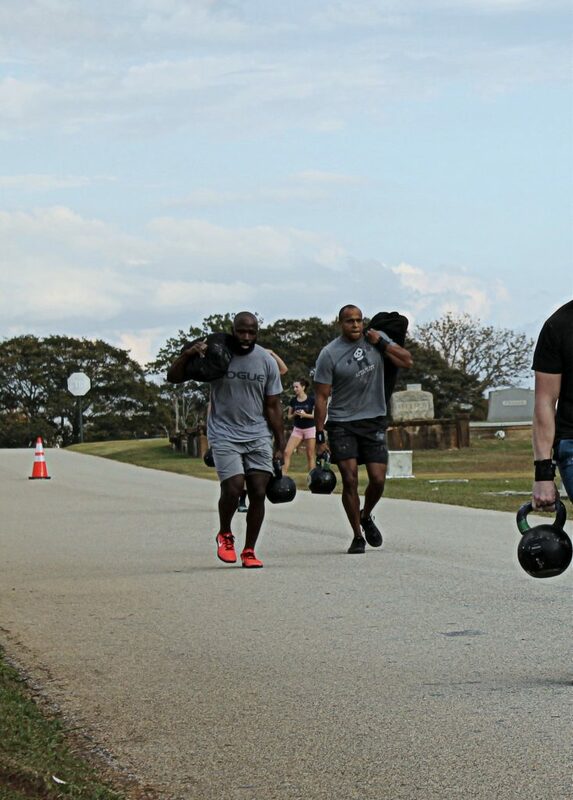 Read on to learn more about Kevin and his CrossFit journey. Thank you for being such an outstanding member of the CFM community! Hometown: Somethings need to be kept a secret. I enjoyed lifting weights and distance running, so several of my friends insisted I check CrossFit out. I was hesitant, but after a couple of false starts, I finished the intro classes (on the second try) and was hooked. Location. I spend a lot of time in midtown and it's great that the gym is always just a couple of minutes away. Convenience makes a huge difference. I would miss way more classes if it was further away. 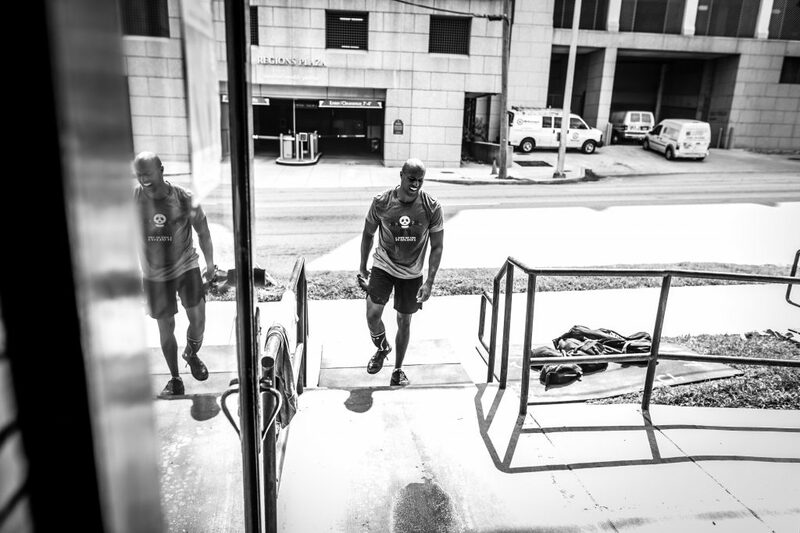 My first day at CrossFit Midtown was actually as a drop-in. I was visiting from out-of-town and it was the closest gym to my hotel. I arrived right as class was finishing and just remember seeing how happy (and tired) everyone was. I remember thinking if I ever moved to Atlanta, this is where I would want to work out. 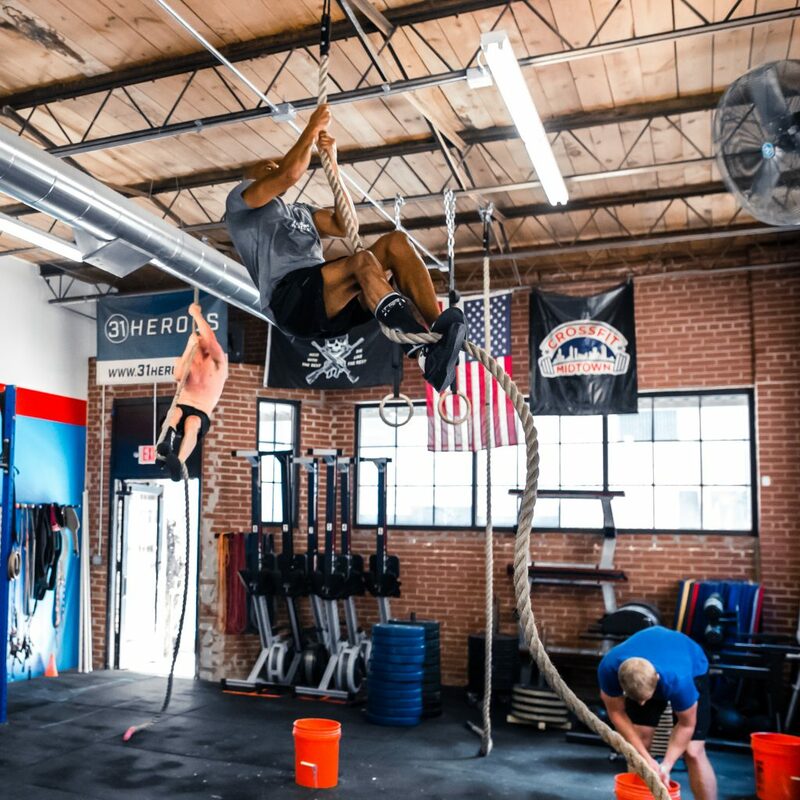 Kevin climbing ropes during 31 Heroes. I have enjoyed getting to know the CrossFit Midtown community. 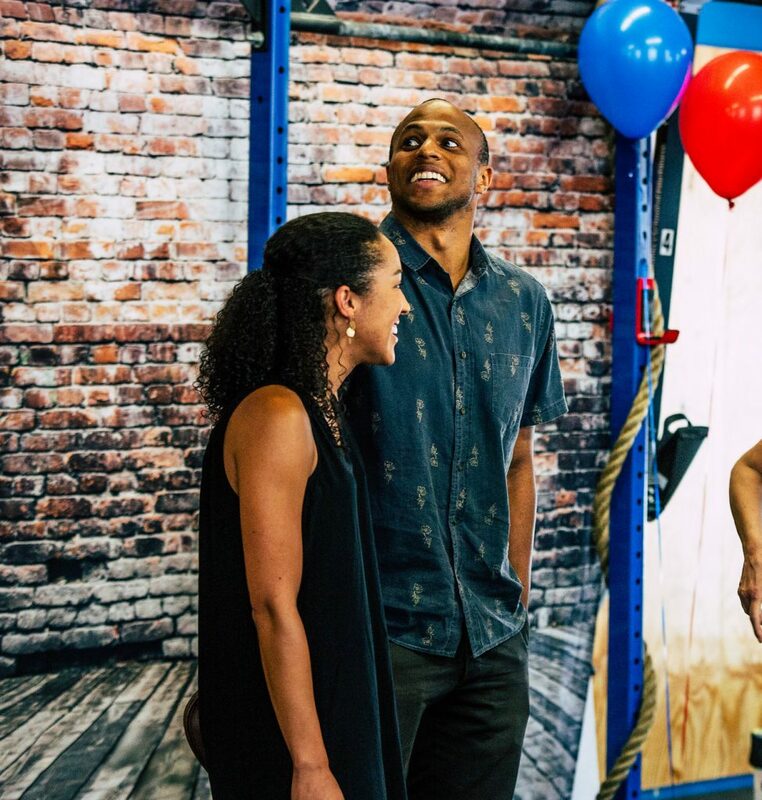 Whether it's trying to keep up with Paul in open gym or discussing the movement mechanics with Carey and Pat or laughing with Holland, the community definitely makes the experience. I really enjoyed watching Michael crush 18.2(a) and then fall into what can only be described as a WOD coma. I hope someone can post a picture of that here. 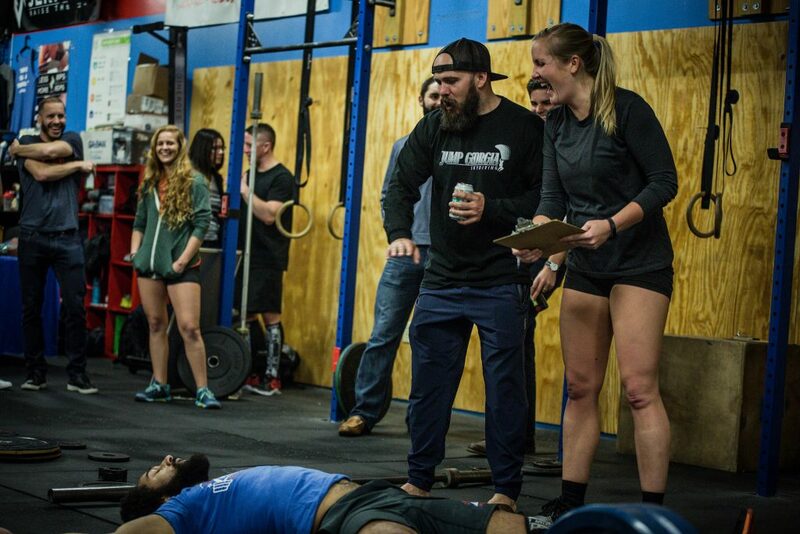 I hope one day I can go into a WOD coma too! After we go hard in the paint during part A, we go into a WOD coma for the majority of part B.
I'm trying to get into cooking more. I tend to just cook plain stuff to save time but have sort of been working on making things that meet my nutritional needs and are tasty. My favorite thing about CrossFit is how time efficient it is. It's only for one hour a day and basically all you have to do is show up. Of course, you have to try once you do show up, but I think showing up is 90% of the battle. Once you do, the coaches help take it from there. I think this is especially important for days where programming includes movements you're not good at. Showing up for your weaknesses can yield a lot of unexpected, positive results if you're willing to put the time in. I should take this advice with pistols. Also, the first year of CrossFit is marked with significant improvements but at, some point, the gains may taper. For me this was initially frustrating, but I now look forward to whenever it feels like I’m plateauing. It’s sort of like a puzzle. At these times, I’ve found that the coaches are incredibly helpful in figuring out the next steps.